NOTE: I am currently traveling out of the country through August 22. There are several movies being released the next two weeks that I have yet to see and will not get a chance to see them before they are released. If you see any of these films, please feel free to write your own reviews in the comments section. I will do my best to catch up with the reviews when I return. Plot: In a seemingly utopian society, a boy begins to learn the truth that they are all being manipulated by the government, and must figure out a way to stop them. This is one of those films that will mean a lot more to some people than to others. 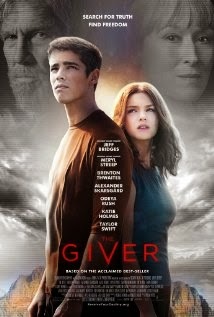 For those that read THE GIVER and understand the importance of that book in helping to create and shape the Young Adult genre this will be a film of great importance. For your average movie-goer, this film will probably be a little slow with a mediocre payoff. The world-building is unique and interesting and there is enough suspense to keep you engaged throughout the film, but it isn't as exciting or fast-paced as DIVERGENT or THE HUNGER GAMES. 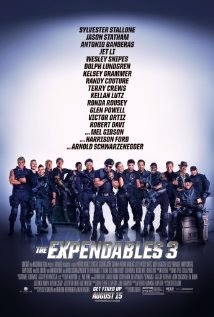 Plot: The Expendables team comes up against a new foe in an old friend and must work together to stay alive. Clint Says: I didn't see this yet, but it doesn't matter...it's going to be AWESOME! Here's the deal with this franchise, just think SHARKNADO only with a huge budget and A-List actors. These films are so ridiculously over-the-top that they are among the most entertaining films ever. They aren't meant to be thought-provoking or important movies. They are meant to poke fun at the action genre in a non-parody way that satisfies completely. Grab a big bucket of popcorn, get a bunch of friends and go have a great time with this movie. 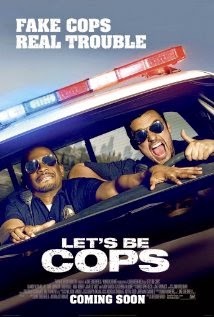 Plot: Two buddies dress up like cops for a party, but when people start taking them seriously they keep the charade going. If you see this movie please post your review in the comments section for others to enjoy. Plot: A man tries to be friends with a woman who has a boyfriend. While this movie is at its base a formulaic Romantic Comedy, the chemistry between Daniel Radcliffe and Zoe Kazan is incredible. Their banter and non-verbal communications will make you smile throughout the movie, and there are several moments that will make you laugh out loud. This is one of those sleeper films that seem to come out a couple of times a year that, for whatever reason, don't get traction among moviegoers, but are exceptional movies. 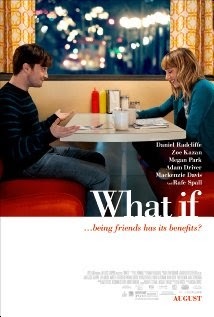 I highly recommend WHAT IF.